Is community chat the New pre-course questionnaire? Things have been getting busier on the Connecting HR yammer community as we start to prepare for our HR unconference on 21st October. But I’d love to see yet more conversation taking place – see my post on the Connecting HR blog: Is Community Chat the New Pre-Course Questionnaire? Different people will have different objectives they want to achieve from Connecting HR. For me, the network is all about relationships; all about connecting (as it says on the tin). It’s about ‘social’, in the sense of this being about relationships (and not about recreation of course). The one common factor between our tweet-ups and unconference is that they’re forums people can use to connect, without the traditional focus on content getting in the way. So as well as being ‘social’, they’re ‘un’ as well. You can read more about my thoughts on this in this Changeboard article: http://www.changeboard.com/resources/article/3465/building-networks-and-creating-a-community-in-hr/. 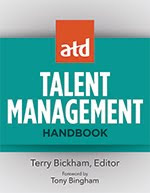 I’m interested in connecting, partly because I’m currently writing a book on this (see http://blog.social-advantage.com), and Connecting HR gives me the opportunity to experiment around a few things. But it’s mainly because I do truly value connection. This is something I’ve focused since well before the rise of social media, in fact, I started my first HR network, called Exchange (which Marc Weedon was also a member of) back in 1994! My focus on, and belief in, connection is why I see participation in our community network (on Yammer) as so important. It’s a bit like the Pre Course Questionnaire we ask people to complete before traditional training perhaps? Interestingly (to me at least), my main focus on PCQs goes back to around 1994 when I set up Exchange. I was working as the manager of an IIP team at a London TEC (what we had before we had the LSC before we had the SFA). PCQs were seen as an important part of the process because they helped people clarify their own objectives for learning and future performance, and gave them something to evaluate training against. Of course, hardly anyone ever completed them, but nearly always found the process useful when they did. I see community participation as something a bit like this. Particularly for something that’s social, or un. A PCQ is no longer useful preparation. An un or social event requires un or social preparation too. It requires connection and conversation to have started before the actual un event. Of course, just like the PCQ no one invests much time in it (but again, will find it very useful when they do). This is why our community (and all communities) have lurkers. And that’s fine, as without lurkers, the community wouldn’t exist (it’s why Jane Hart has suggested calling lurkers legitimate peripheral participants). Apart from, to an extent at least, it’s not. We need people to participate in our community (and on our Yammer Community). Firstly, because Gareth and I can’t organise the unconference alone. And secondly, to give everyone the social preparation they need to make the unconference a success for them. Participation in our community follows a fairly traditional power law curve (see diagram for current curve). All communities end up looking something like this. Jon Weedon wrote an interesting article on his blog recently where he reviewed the commonly accepted segmentation of community participation (90/9/1): http://j0n1.com/2010/01/29/participation-inequality/. But there’s no specific limits on the exact shape of the curve. We’ll never get everyone participating, but we can get more people participating, and people who are participating doing so more. Achieving this is important for our community, and for everyone achieving their individual objectives from attending the unconference too. You can find out more about Connecting HR: the community, the unconference and our Yammer platform on our new website: http://connectinghr.org. I’ve finally got around to reading Ulrich’s new book, the Why of Work. It’s an interesting read, dealing with a complicated area and there aren’t many books in the mainstream business world that deal with this idea of identify, at least from a how vs what perspective – or what I’ve been calling (and since before Marshall Goldsmith started to) an organisation’s mojo. I like the idea that a focus on meaning needs to be supported other aspects of organisational management - clarity about identity and purpose; positive relationships and work settings; engagement; learning and civility. And I like some of the ideas contained within the book chapters on each of these areas as well. This includes the focus on signature strengths - I agree it makes sense to identify and match individuals’ strengths to the organisation’s capabilities. And on purpose – I like the breakdown into the different categories of insight, achievement and connection (which you could match to Tony Hseih’s focus on meaning plus progress, control and connectedness). It’s this chapter on connection (Whom do I travel with?) that I think provides the best part of the book. Connection is important to engagement and performance (which is why I’m still surprised how many engagement surveys miss the focus out). One thing I don’t like about the chapter is Ulrich’s analysis of social media – that tweets and blogs are anonymous and therefore remove the personal touch so central to meaningful relationships. E-communication may reduce face-to-face contact and visual cues for reading each other, but provide lots of other support for relationships building instead. And it’s simply not true that this emphasises hostility, partisanship backstabbing and cutthroat competition. I suspect Ulrich’’s just not been using social media enough to understand the benefits – a point I made to Lynda Gratton when she expressed similar sentiments to Ulrich earlier this year. So it’s a good book but I wish it could have had a slightly different focus, or been a bit sharper really. The problem is that after having read it, I’m still not quite sure what it was about. So it’s partly about Meaning. Ulrich suggests that we all work for meaning, which I don’t think is true but shouldn’t detract from its importance. As Ulrich suggests, meaning can lead to inherent value for employees and market value for their employer (“making sense can also make cents”). And it’s partly about Abundance. Ulrich defines an abundant organisation as a work setting in which individual coordinate their aspirations and actions to create meaning for themselves, value for stakeholders, and hope for humanity at large. It has enough and to spare of the things that matter most: creativity, hope, resilience, determination, resourcefulness, and leadership. But the book doesn’t really explain how a focus on meaning leads to these things and I would have liked to have read more about how meaning relates to an abundancy vs scarcity mentality or deficit thinking. And it’s partly about organisational capability: what an organisation is good at doing (“Apple has the capability to innovate, Disney entertains, Marriott has the capability to serve, and Walmart delivers low prices”). I’m just not clear whether Ulrich sees abundance as the activities which lead to these outcomes, whether it another outcome along with innovation, speed etc, or whether, like meaning itself, it’s something that’s needed for this system to work effectively, ie to enable organisational, management and HR activities to lead to the desired outcomes. In my view, in different ways, it can be all three, and I think that’s part of the problem with the book. The result of this confusion is that the book ends up being a list of nice-to-have’s. For example, although I’m a big believer in the importance of intelligent workplace design, I struggle to see how keeping the office windows clean (p149) supports meaning, abundance or organisational capability! One further observation: Ulrich suggests he’s written the book for business leaders, not for HR, who already tend to understand the need for meaning. Two things about this: Firstly, if business leaders don’t understand the need for employee engagement then they’re not going to understand the need for Ulrich’s even bigger and rather amorphous concept of abundancy. I think it needed to be much clearer and more outcome focussed for them. 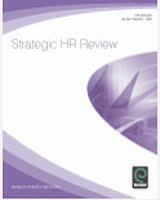 And secondly - and this is a general point rather than one about the book but may still worth making here – I think Ulrich’s observation reinforces my own belief that HR can only go so far by becoming more like the rest of the business. We also need to develop our businesses to become more like (the best bits of) HR. You may also be interested in my review of Meaning Inc. 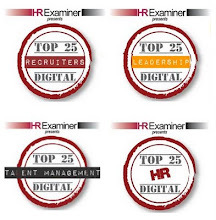 Bringing HR to the forefront at your organisation? One of the other conferences I won’t be going to this Autumn is the CIPD’s conference in November. It’s partly because I went last year and partly because I’ve not been invited to speak. But it’s also because I’m fairly unimpressed with the conference programme. I’ve been asking about what the CIPD’s going to do with social media for three years now and the answer’s still, not a lot. This stands out increasingly strongly in comparison to SHRM which has taken easily to social HR. And I don’t see how you can truly put HR to the forefront of an organisation’s agenda in today’s environment without dealing with with this agenda. Of course, just like last year, the subject is not totally absent, but also, just like last year, you need to search carefully to find it. New technology and new ways of working require organisations to be flexible and able to adapt to the changing needs of the new world of work. What is HR’s role in driving strategic change, and how can HR take ownership of these changes to ensure business success? Discover how HR drove a strategic transformation at Cisco and implemented key changes to improve the way employees work through large-scale technological advancement and a decentralised approach to managing their people. An organisation that has moved from a traditional command and control management style to a more collaborative approach through embracing new technology that supports a more flexible way of working. Employees are empowered to work efficiently, productively and in a way that meets their needs and those of the organisation. But there doesn’t seem to be anything about social HR than this. Other than the absence of social HR, there doesn’t seem to be that much that deals with HR’s other strategic opportunities. I will just point to this session with Hugh Mitchell from Shell though which would definitely have been a highlight for me. How do HR functions move from delivering the agenda to driving it? How does HR demonstrate business leadership skills and gain the credibility to direct strategy? Following the appointment of a new CEO, Shell has undergone a radical transformation. 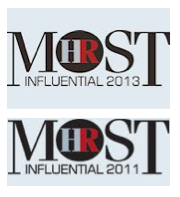 At the forefront of directing and driving this transformation was the HR department. Understanding how HR can take a primary role in driving transformation and shaping organisational strategy. The other reason I’m not going to be going is that there sounds like there’s going to be something especially exciting about social HR / HR 2.0 at the second Enterprise 2.0 conference in Santa Clara this year (see my posts on the first conference in Boston). Keep tuned for more on this. Of course if you do want to know more about social HR but you’re in the UK or Europe and don’t want to travel to the US, you could consider signing up for Connecting HR on 21st October. Then I’ll also be speaking on HR and social media at the HR Director’s Business Summit in January next year. I was recently interviewed by Craig Endicott for his / Stepstone’s Community Post blog. See a video of the interview there. HR and social media – training. One of the conferences I’m not going to be able to get to (again) is Bill Kutik’s HR Technology conference in Chicago. However, I think I’ve finally got a speaker slot for 2011, so it’s already in my diary for next year. “Awesome” new technologies for HR. For more information, download the pdf of the full conference brochure. To get $500 off the onsite price of $1,695 and to attend at just $1,195, just use the promotion code STRATEGIC. And let me know how you you get on! I’ll also be chairing a panel at Social Recruiter and RCEuro’s Social Recruiting Conference in November. “Social Recruiting Conference 2010 (SRCONF) will gather leading employers and recruitment industry professionals, to passionately discuss and practically demonstrate the power of Social Recruiting. The conference will be unlike any other Social Media Recruiting conferences you have attended. Our aim is to take the talk from theory to practice; and shift conversations from hype and hope to reality and results. #SRCONF will focus on Social Recruiting case studies, with measurable ROIs. Social Recruiting Conference will feature an extensive list of case studies from diverse industries and invaluable experiences from some of the world’s global organizations. You can book for the event at http://srconf.eventbrite.com. October will also see Connecting HR’s first Unconference. You can find out more about this event on our wonderful new website (thanks Gareth! ): http://connectinghr.org. Why do you think there’s a need for HR networks? Networking is important in all functions, and increasingly so, as the developed world moves ever closer to a more social, relationship based way of doing business (a bit more like the rest of the world perhaps?). Note that I’m not writing about networking in its crude, ‘what can you do for me?’ sense. The need for networking is simply a reflection of two things. Firstly, there’s the fact that we’re all social animals born with a deep desire to connect. So, networking is about our health and happiness. Then, there’s the fact that most information is fairly meaningless and certainly uninspiring without a social context. Our rate of learning is informed more by who we know than by what we know. So networking is central to our growth and development too. You’ve then got some additional contextual factors which further emphasise the need for HR networking. HR is internally focused, so we don’t get to deal with people from other organisations so much and networking takes us out of our own businesses. Also, in my view at least, we don’t deal in quite the same space as our business colleagues. To me, HR provides most value by focusing on the organisation value chain, on the creation of human capital, rather than on final business results. I know it’s not currently ‘in’ to say it, but I still think it’s true. This reduces our ability to relate closely with our colleagues in our businesses, and emphasises our need for a third place – somewhere that’s not work, and not non-work, but is based around a community of people who share the same perspectives and interests as us. How is the nature of networking changing – what new networking trends are emerging & why? I think, or at least I hope, that networking is changing in line with the above trends. People increasingly understand that networking really only works when you approach it as something that you can be better or worse at (which is important), but for which you can’t force a result. In addition the results are likely to be quite distant in time and space. It’s not the sort of thing that I think lends itself to a ROI calculation for example. So one main trend is about increased investment in it, and more openness and willingness in doing it. And by this I mean approaching it with a desire to help, rather than be helped. I like Tony Hseih’s comments in his new book, Delivering Happiness, that developing relationships is all about being interested, rather than appearing interesting. The other main trend, of course, is the role of ‘online’. This has been an increasing trend over the last decade and more, initially through the use of discussion boards and online forums (perhaps less so in HR). But the opportunities for online networking have really started opening up over the last couple of years with the emergence of social media. Although the use of Facebook still trails well behind Google in the UK, the social network has overtaken the search engine in the US. The FT referred to this event as the web becoming sociable rather than just searchable. Of course, this is all in the context of the recession, meaning that people are finding it harder to find the time and money to support networking. So in some ways it has become harder, but it’s still more important to do. What led you to launching the Connecting HR network? We got the network going with a couple of tweet-ups (face-to-face meet-ups for people using or interested in using Twitter and other social media). Given this, my initial reaction to this question was to respond that we’re both reasonably high users of social media and that the network provided a means of extending that interest, meeting more of the people that we exchange online comments with. But actually, thinking about it, I don’t think it’s that at all. And I’ve not talked to Gareth about this, but I think the real answer to your question is that we’re both believers in the value of connections, relationships, networks and communities. That’s why we’re into social media. It gives us a basis to extend our own relationships. 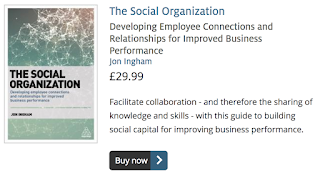 So Connecting HR isn’t really about social media at all, it’s simply a forum for people to connect and make new / maintain and develop existing relationships. And the reason we started by organising tweet-ups is that most of the people using social media believe in social connection too. So Twitter users are naturally inclined to participate in face-to-face networking events as well. Importantly, Connecting HR enables people to network without content getting in the way. What I mean by this is that for most networking we do, people think there needs to be another attraction on top – a speaker perhaps, or even a whole day of presentations. Networking is seen as a bit of a side attraction that can fit nicely into the coffee breaks. But then everyone leaves the event and the bit they remember is the coffee break, the corridor conversation, and their memory of the formal stuff, the speakers’ presentations, has soon disappeared. At Connecting HR, we don’t do content. Or at least, we place its importance well behind that of relationships. So the next thing we’re going to be doing is an unconference. This is like, but also unlike, a normal conference. There’ll be no keynote speakers, no long presentations, maybe no power points at all. Instead, people will be encouraged to talk about things that are important to them, and that they think other people might be interested in as well. We’ll have a range of formats, from workshops to speed networking; open spaces to structured corridor conversations – maybe even a ‘HR’s got Talent’ slot as well. All designed to get people connecting and relating. Yes, people may learn some information too – of course we hope they will. Actually, we’re sure that they’ll learn much more than they would at a traditional conference. But that’s really not the point. The point is networking. The point is community. What are the benefits for HR professionals joining such a network? Connecting HR provides an opportunity for HR professionals to network easily - online and offline. The community is mainly made up of practitioners (suppliers are welcome as well, but there are some conditions to attend.) So the networking is with other people like you. People with the same passions, the same interests, the same challenges – but with potentially different experiences and insights. What positive feedback have you had and why are these networking events successful? We’ve had so much positive feedback. And if your readers do an internet search on Connecting HR, they’ll find a lot of it for themselves. It’s reinforced our belief about people’s need to connect. The rest of the network’s success has been down to the lack of presentations, and allowing people to do what comes naturally to fill the gap. What message would you give out to HR professionals not belonging to any network? Simple – if you’re based in or around London, join in with ours! - you’ll be very welcome. Jon’s co-founder of Connecting HR is Gareth Jones. Gareth is Leader, CourtenayHR who blogs at Inside My Head and you can follow him on Twitter at @garelaos. As well as sessions on HR and social media; international HR and HR scorecarding in September, I’ll be speaking on Innovating HR through social media at this event at Roffey in October: HR - driving business success through innovation. I’ll be blogging about this area over the next couple of months as well.